The Two Moors Way – Full Video – The Outdoors Station "UA-92084833-1"
Here it is. 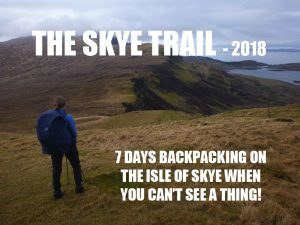 The full video of the Two Moors Way lightweight bivvy and tarp trip including mapping and scenes with a full explanation of the what happened and why. Even more detail can be found on the 8 part audio podcast series. All in all a great trip and I hope you enjoy the video. Please check out the second video where I do a review of all the gear used. Thanks Bob – just spent the last few days whilst out walking the dog listening to the Two Moors Way podcast series. I was looking for some inspiration for next year and this walk certainly sounds worthy of consideration. I’ve got a two year old cocker spaniel who would undoubtedly be accompanying me on my travels. Do you think this would be suitable for one man and his dog (I’m not sure the wife could be persuaded that will camping is the way forward when there are far more luxurious accommodation options available)? I note from the podcasts that wild camping was particularly challenging in 2017. With the proposed re-publicising of the Two Moors Way, have you had any news regarding an increase in accommodation and resources along the route? At both ends there are a lot of sheep and cattle with plenty of styles to cross, so it depends on your dog in those circumstances I guess. As for accommodation, get in touch with the website and the author of the book. She was really putting the effort into getting the route more recognised and I’m sure more farms and accommodation will be coming on board. As I said on the podcast I walked past a couple which I knew nothing about, so time spent on research isn’t time wasted. The middle section was actually more pleasant than I thought it would be, with plenty of village pubs on route, so I’m sure they would be open to garden camping after a pint or two. Best of luck. It’s a lovely walk. I note from one of the podcasts I listened to recently that Rose was accompanied on a LDW by a canine companion. Any suggestions regarding a sleeping system (bag) for a dog in colder weather. I can’t find a great deal on the internet.